Google Glass is indisputably the most popular piece of wearable tech around, but its steep price and scarce availability make it quite unattractive. Those are exactly the aspects France-based eye-display technology company Optinvent counted on when developing the $300 ORA-X smart glasses. The bad news is that ORA-X will only be available next summer, and for the time being, the French company only plans to offer the ORA-1 smart glasses to developers in January 2015. There are a lot of ifs and whens in the equation, as even the developer version is conditioned by the success of a crowdfunding campaign on Kickstarter. I guess that’s one of the many things that distinguishes Mountain View from Google-wannabes: certainty. Unlike Google Glass, which provides useful information in the form of a minimalistic overlay, wearing ORA-X is said to be similar to wearing a tablet in front of your eyes at all times. I don’t know about you, but I would find that terribly distracting. Flip-Vu, one of the proprietary features of the ORA-X smart glasses, adds an augmented reality layer over the wearer’s field of view. In glance mode, the alternative to Flip-Vu, the virtual layer is facing downwards, and doesn’t inconvenience the wearer that much. The glasses can also act as a standalone Android 4.2.2. (soon to have KitKat) device, so Optinvent is not that independent from Google. While the 5MP camera and the GPS sensor are nice touches, the battery life is terrible, but this seems to be a common problem with wearables. Intensive use will drain the battery in 2 hours, while using it in a normal regime will get 7 hours out of it. If your work somehow depends on these smart glasses, make sure you’re near a power outlet. In terms of connectivity, the usual suspects are present, namely Bluetooth 4.0 LE and Wi-Fi. It’s quite hard to tell whether the project will get funded or not on Kickstarter, as the campaign has just taken off, and at press time there were 57 more days to go with $17,116 of the $100K needed for mass-producing this wearable. As mentioned above, the ORA-X will be available for $300 in June 2015, should the campaign be successful, while the ORA-1 developers’ edition will cost $599 for early birds and $649/699 for regular backers. Be social! Follow Walyou on Facebook and Twitter, and read more related stories about the smart glasses that enable nurses to see through your skin, and the Atheer One smart glasses that enable 3D interaction with Android apps. This is far from the first Philips Ambilight alternative that we’ve seen, but Flytron set its AmbiLED HD apart by making it much easier to install and adjust. That’s because this ambient lighting system for PCs uses a thin strip of LEDs with a reusable adhesive back. 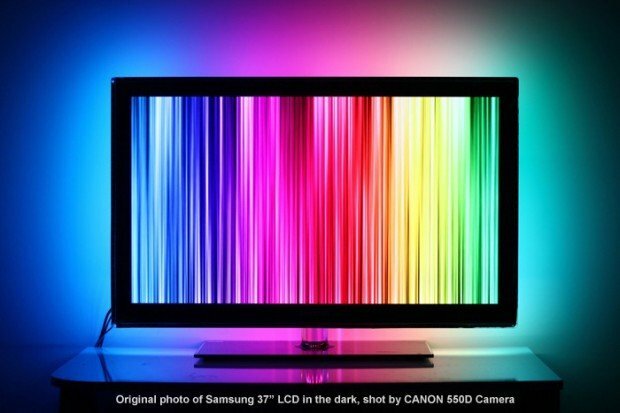 Like many ambient lighting solutions, AmbiLED HD connects to your computer via USB to analyze the colors being displayed on your monitor and emit similar colors. 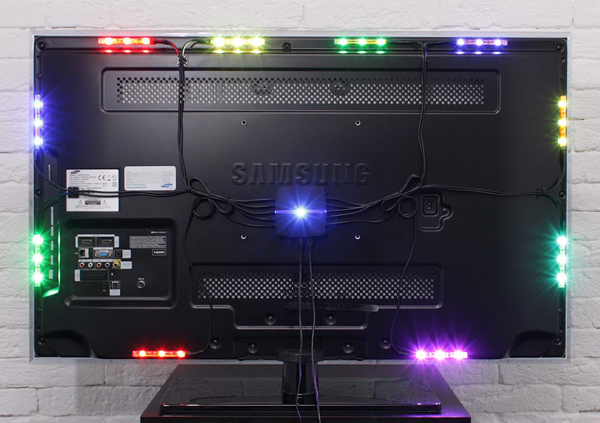 The difference is that AmbiLED HD sets you free from managing the cords that would otherwise pile up behind your monitor, because its LED strip only needs one three-pin connector for up to 512 LEDs. 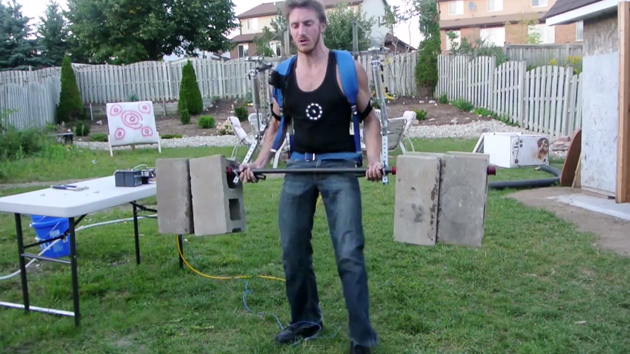 To put that into context, Flytron was able to frame a 37″ LCD HDTV with 172 LEDs. Compare the above image with this one and this one and you’ll see how much more convenient the AmbiLED HD is. 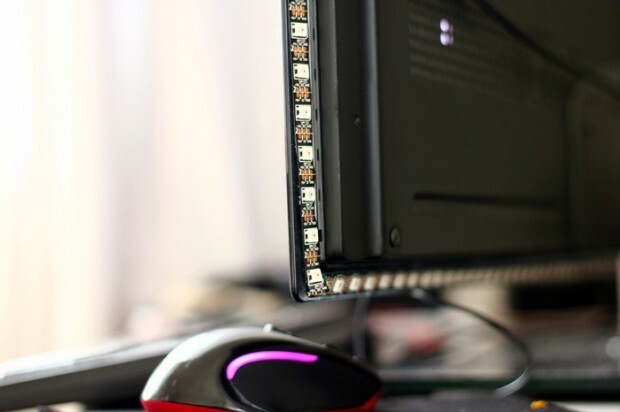 The LED strip is also flexible and its adhesive is reusable, making it easy to adjust or move the strip to another monitor. Pledge at least £60 (~$100 USD) on Kickstarter to get an AmbiLED HD kit as a reward. The kit will come with the USB control unit, a power supply, a USB cable and a 3m (~9.8ft.) LED strip. That should be enough to cover a 40″ monitor, but if you want a longer strip just add £1 (~$1.70 USD) for every additional 10cm (approx. 4in.). If you have seen the newest Godzilla movie, you will most certainly recognize this creature. 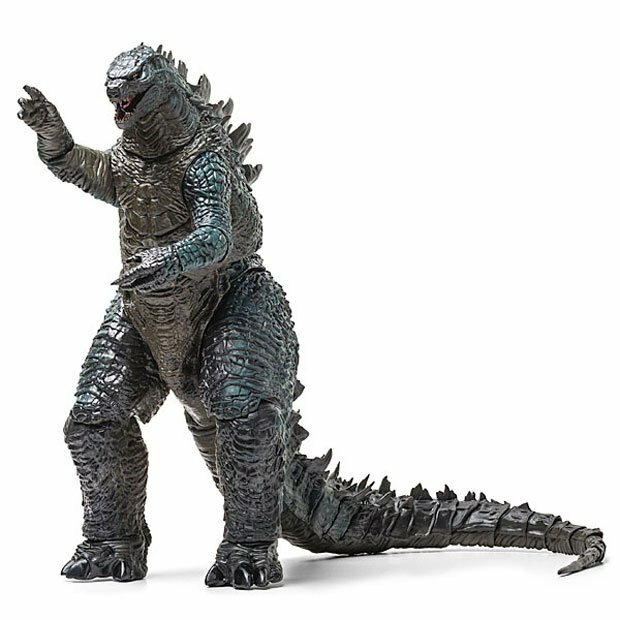 What you see here is a massive Godzilla action figure that measures 2-feet from head to tail. It even has its own roar to scare other action figures into pooping themselves. This isn’t a cheap toy you would find at Walmart, it’s a highly detailed and articulated collectible with has 13 points of articulation in the tail alone and over 25 points in all. It is officially licensed Godzilla merchandise and the roar is powered by three LR44 batteries that are included. 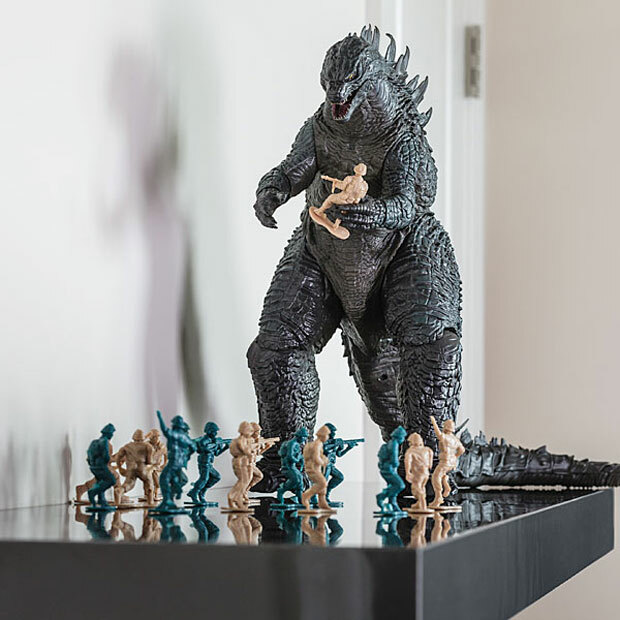 You can pick up your own Godzilla right now at ThinkGeek. 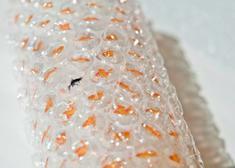 Want Your Bubble Wrap With Goldfish? There is just something about bubble wrap that is alluring -- all those plastic bubbles just waiting to be popped. This is especially true of the larger bubbles. The other side of the coin is the people who want to strangle people who are making that popping noise, such as when my brother threatened my life one Christmas. Of course if it was Goldfish Bubble Wrap it might be a little harder to just pop away when it looks like there is a cute little fish in there. If you have ever had the check engine light come on in your car, you know how uncomfortable that can be. In part of your brain, you think it’s nothing but a way for the dealer to make some money on service, and you keep driving. Another part of your brain thinks that your car will explode any second. What you need is a gadget that can decipher those lights and tell you if you need to rush to the dealer or if you can keep on driving safely. 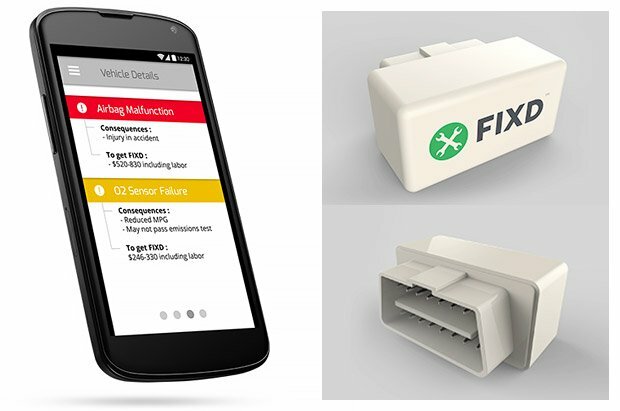 FIXD is just such a device and it plugs into the OBDII port of your car to tell you what is wrong. The device connects wirelessly to iOS or Android devices via Bluetooth. 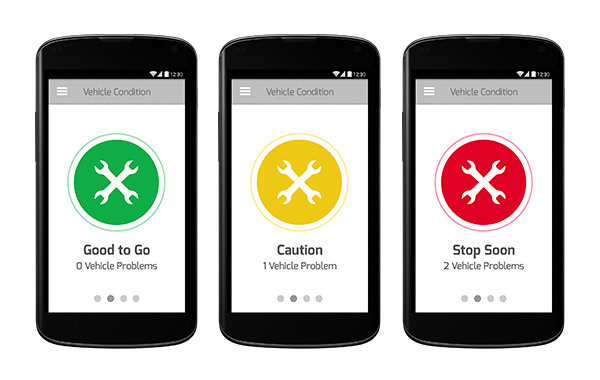 Its companion app will even estimate how much it costs to repair the problems you car has and helps you track when you need service. FIXD is on Kickstarter right now with the Android version of the hardware and app combo landing later this year and the iOS version coming next year. 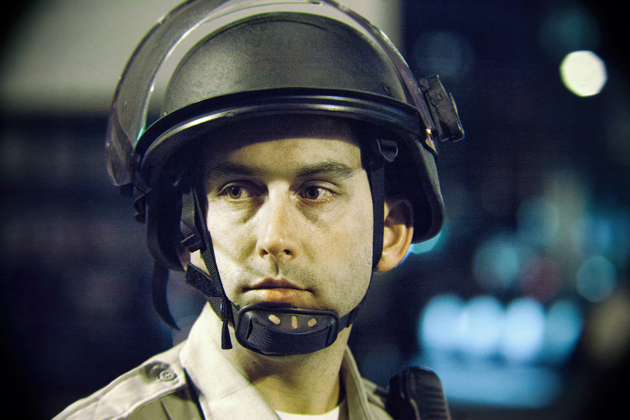 A pledge of $50 or more will get you either version.